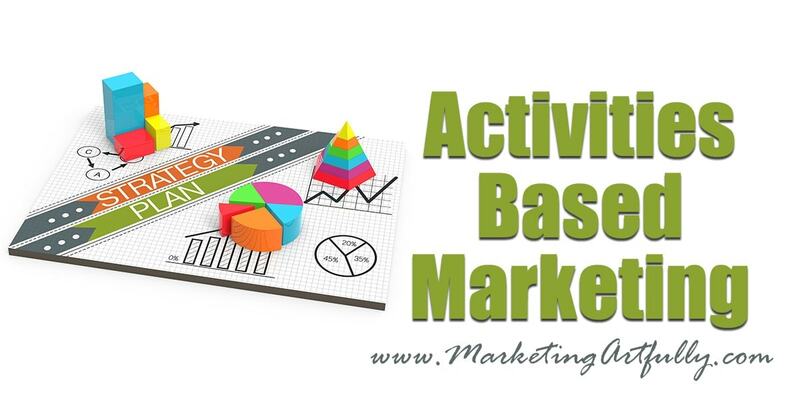 If you have never heard the term, “activities based marketing” you are in for a treat. With this kind of marketing you are not as concerned with the outcome of what you are doing as you are with completing goals you can control. For example, I am writing this blog post specifically to try an rank for “Entrepreneur Marketing” keywords. There is a good chance that some entrepreneurs will read this and be intrigued enough to visit my shop and then buy something to help them with their marketing. I can’t control anything beyond my production of the post and sharing it on social media. I can’t MAKE someone buy my products if they don’t need them right now. I can’t MAKE entrepreneurs want to do marketing or sales, all I can do is keep producing great content that will attract my target audience and potentially lead to a sale. Note: The opposite of activities based marketing is direct response marketing, like buying Facebook ads or sending postcards. With direct response marketing you can effectively measure how much money you have spent and the results you have achieved (phone calls to a specific number, website visits to a specific page, etc.). This is good too, but I am not a great bookkeeper so it doesn’t work as well for me! This is a super important step to consider if you are going to set yourself up a schedule of activities to do for your marketing. Not surprisingly, you are more likely to do things that that you like than ones that someone just told you you “had” to do. For example, I like to write, A LOT. If truth be told, it my most favorite of all the things I do for my business. Next after that for me comes making cute pictures and banners, and finally recording how to videos. Step One…Identify three activities that you like to to do which could be turned into marketing tasks. If you are not currently doing marketing like this, the first thing you will notice is that these activities take time. Not a lot, but at least some. There is no way to “find time” to fit these new activities into your calendar. When I got started doing the blog posts I wasn’t just sitting around for an hour a day, looking for something to fill it up. I had to MAKE time for this because I feel it is important to my business. I do my marketing activities first in the day for two reasons. #1 I am most fresh in the morning and #2 that way they can never fade away as the day gets busy. If you think you will have time every afternoon to do your marketing, you are probably crazy. People will call, emails will roll in and your marketing time will get eaten up with “stuff”. Step Two…Set up a time to do your marketing activities! Need a little help with this? 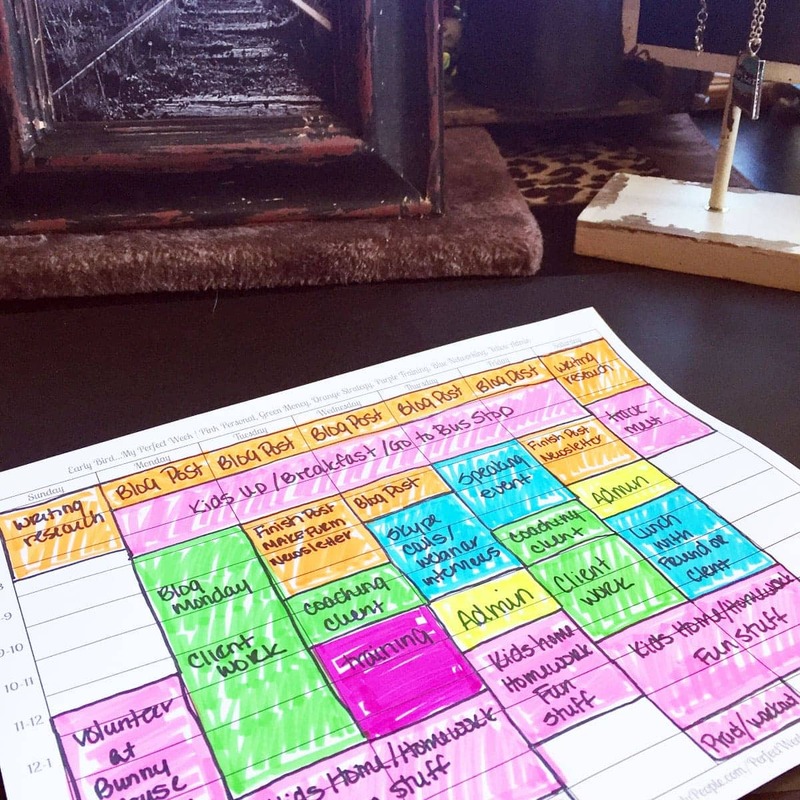 Check out the “color coding your perfect week, early bird edition“ to see how I manage my time. So now you know what you will do and when you will do it, last but not least, you need to pull a strategy together to have your activities be the most effective and income producing. It doesn’t matter WHAT you do as long as you get in the habit of doing it. I tend to schedule my activities a month at a time. So December is a “blog post a day” month. January might be an “organize your life” month. There is no right or wrong way to do this! So if you are thinking that doing a blog post a week will move the needle, you might need to do two or three or seven. If you are thinking about doing one comment on a Facebook post a day, you may need to make that 10 comments a day. You might as well build in big goals since they will help you get to the finish line faster.